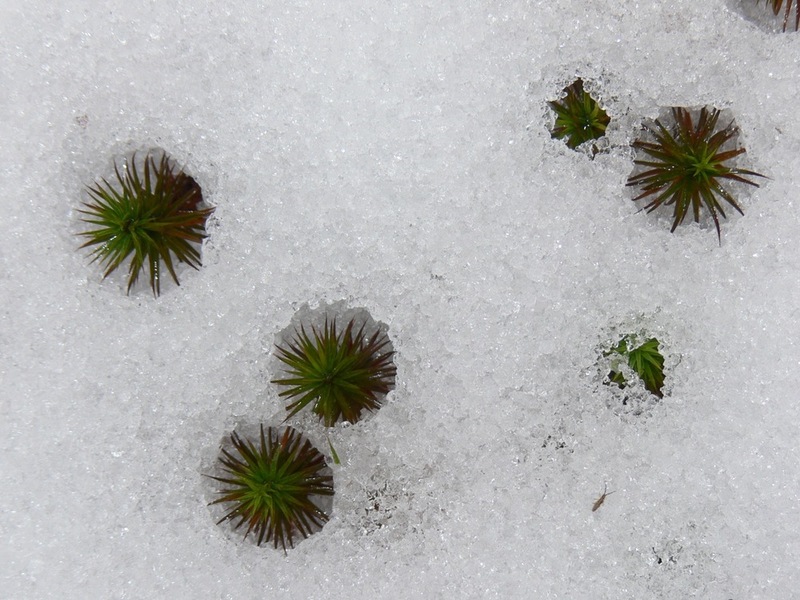 A few small mosses peaking through the snow beside the house. They look warm and cosy (relatively) where they are. Kind of like being in an igloo! Catch the sun, but miss the wind. Not a bad deal! Check out the small insect in the lower right section. I am Joy's Husband and Walker, Hunter, Danielle and Brittney's Dad!